Bird in Flight, an online magazine about photography and visual culture, compiles collections of the best photos from around the world, featuring artists and their works. Today we take a look back at 2016 as an exciting year of photography, travels, events and adventures. 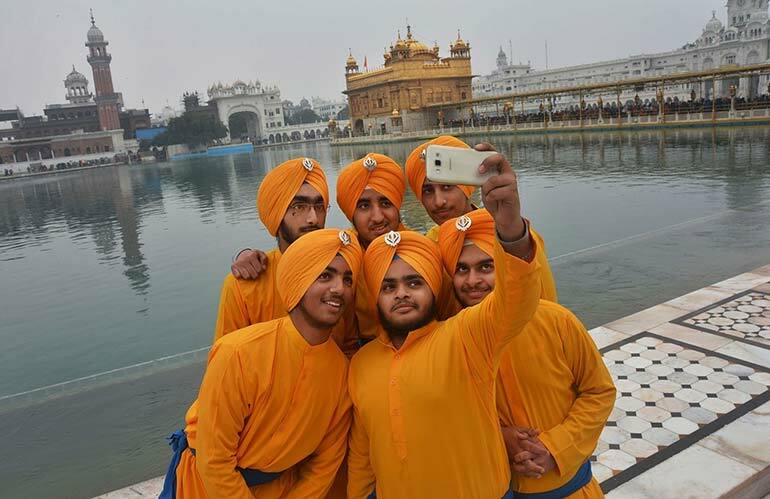 Sikh devotees are taking a selfie on the birthday anniversary of the tenth and last Sikh guru Gobind Singh with Sikh’s holiest shrine in Amritsar, India (in the background). Gobind Singh (1666—1708) was also a warrior and a poet, and is considered a philosopher who followed the theory of the Just War (the war should start only after all other possibilities for agreement have been exhausted; the war should be fought without hatred and the feeling of revenge; without wanting to have profit; may be started only by idealists, but not by mercenaries, the warrior should fight without fear, be sure of the victory and not think about the consequences). Show of the Best (Schau der Besten) — a beauty pageant for cows — took place on February 24 and 25 in Verden (Germany). First place was taken, for the second year in a row, by a cow named Lady Gaga. 200 animals participated in the contest. 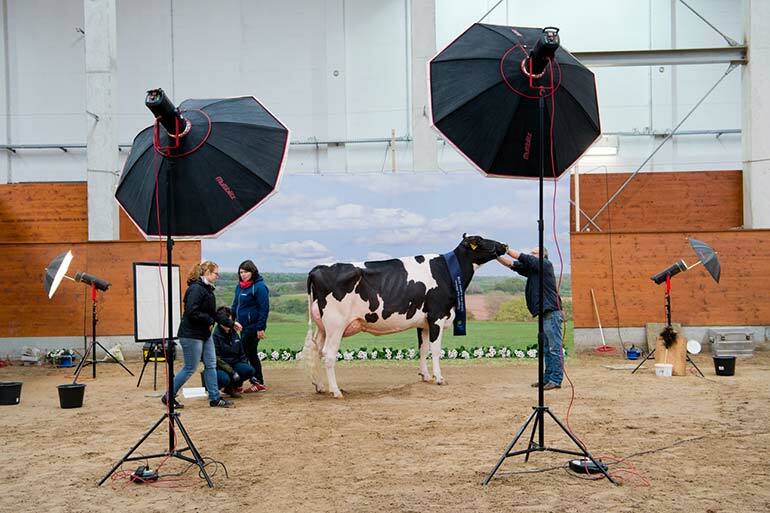 In the photo, the cow is prepared for the photo shoot. 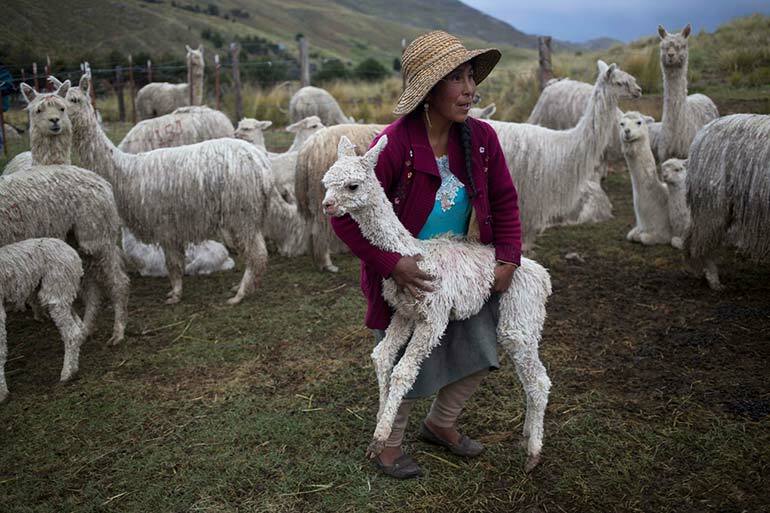 A Peruvian shepherd carries a young alpaca back to the herd. On the Mallkini Hacienda in the Andean highlands alpacas are bred for their fiber. The shepherd leads the alpacas outside the farm every day for grazing and exercise, and returns them to the farm at night. This official photograph, released by Buckingham Palace on Wednesday April 20, 2016, to mark her 90th birthday, shows Queen Elizabeth II with her five great-grandchildren and her two youngest grandchildren in the Green Drawing Room, part of Windsor Castle’s semi-State apartments in Windsor England. 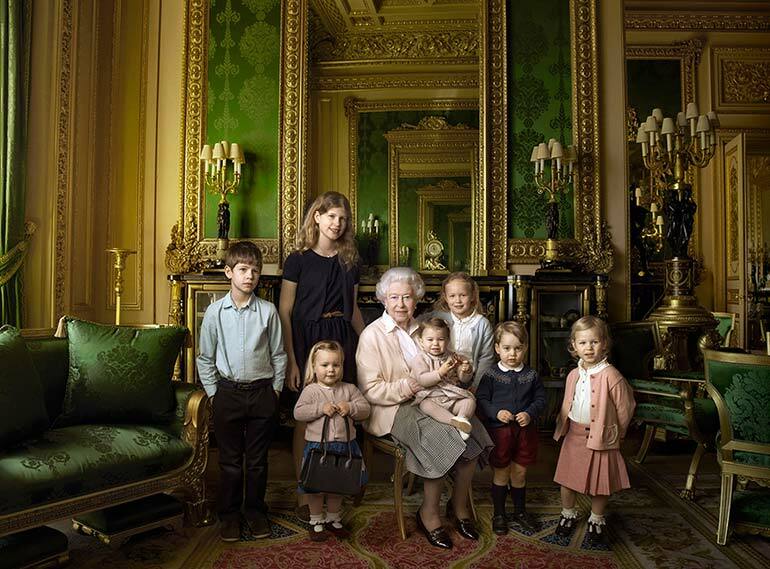 The children are: James, Viscount Severn, 8-years-old, left, and Lady Louise, 12-years-old, second left, the children of The Earl and Countess of Wessex; Mia Tindall, holding The Queen’s handbag, the two year-old-daughter of Zara and Mike Tindall; Savannah 5-years-old, third right, and Isla Phillips, 3-years-old, right, daughters of The Queen’s eldest grandson Peter Phillips and his wife Autumn; Prince George, 2-years-old, second right, and in The Queen’s arms and in the tradition of Royal portraiture, the youngest great-grandchild, Princess Charlotte, 11-months-old, children of Prince William and Kate Duchess of Cambridge. 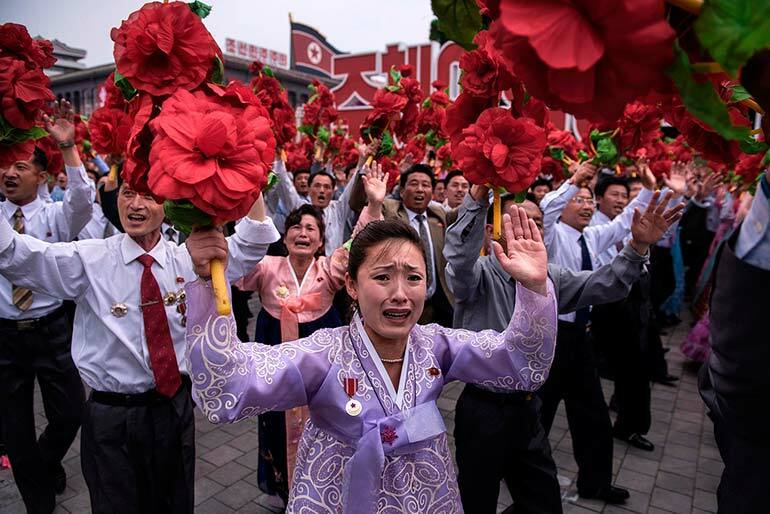 A woman is crying during a mass parade marking the end of the 7th Workers Party Congress in Pyongyang. The parade featured models of ballistic missiles and space rockets. Kim Jong-Un, the country’s leader, observed the parade from the balcony on Kim Il-Sung Square. A temporary ban on wedding and burial ceremonies, as well as other events involving a large group of people, was introduced in the country several days before the Congress, citing the need for extraordinary security measures. 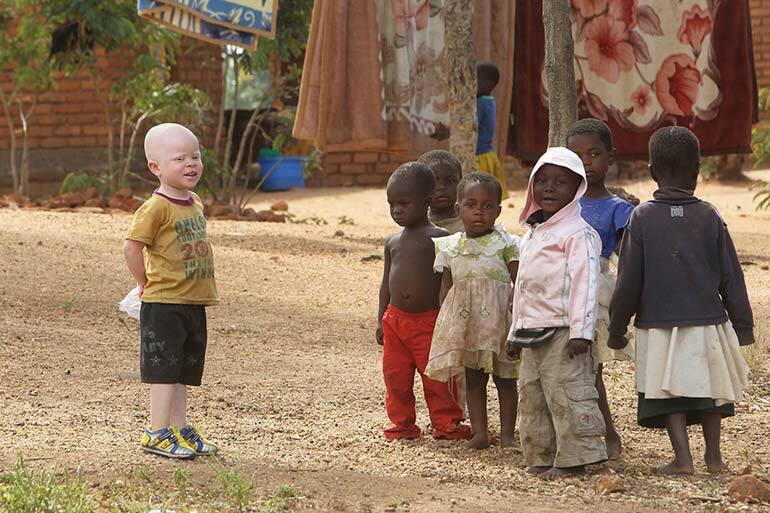 A three-year-old albino boy, Cassim Jaffalie, is playing with his friends near their home in Machinga, Malawi. His father Razik Jaffalie gave up his work as a bicycle taxi operator to protect his son from the increasing attacks on albinos in East Africa. Since November 2014, 18 albino people have been killed and 5 more were abducted in Malawi. 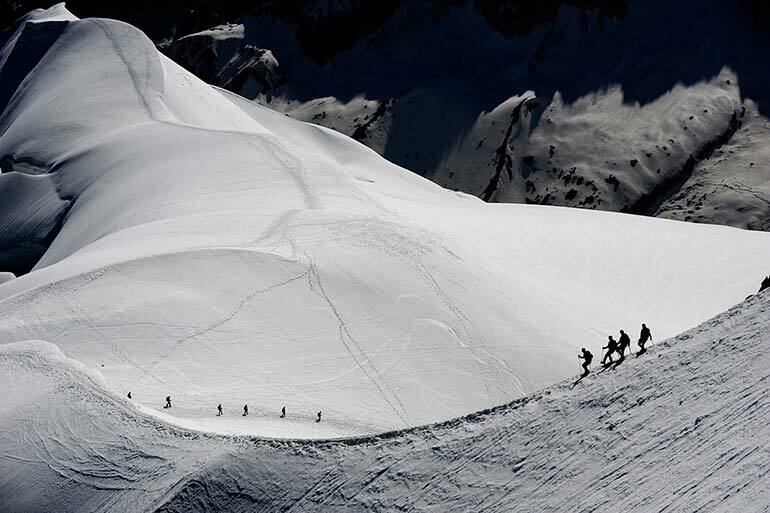 Alpinists walk on the Mont-Blanc Massif above the valley blanche in the French Alps. 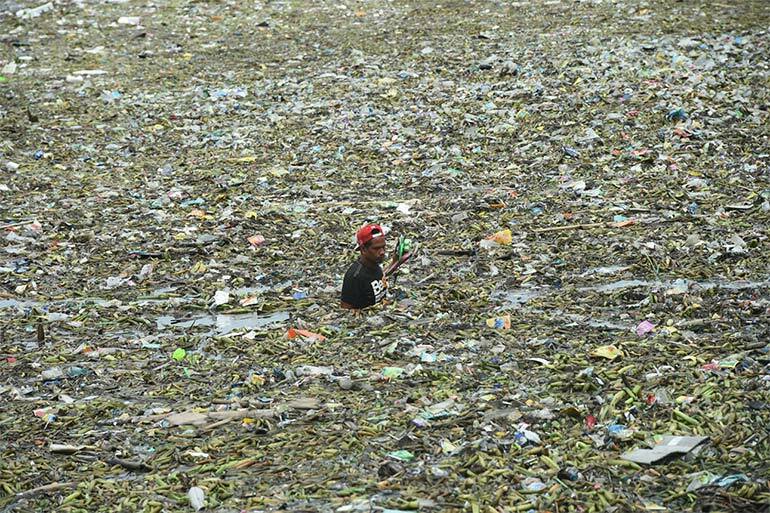 The man is collecting recyclable materials in the garbage that washed ashore in Manila after a tropical storm. The typhoon named Nida that passed through northern Philippines is currently moving towards the south-eastern China. The wind speed reaches 90 kilometers per hour. 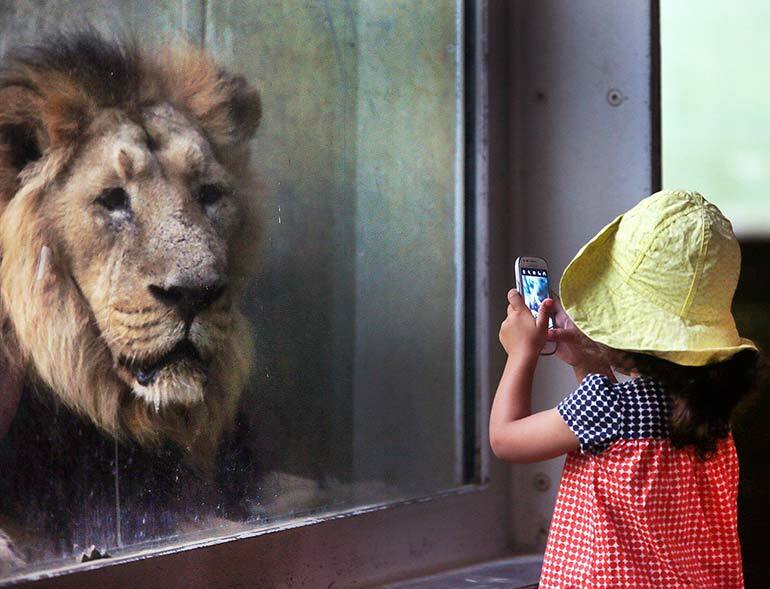 A girl is taking a picture of a lion at the zoo in Frankfurt, Germany, September 13, 2016. 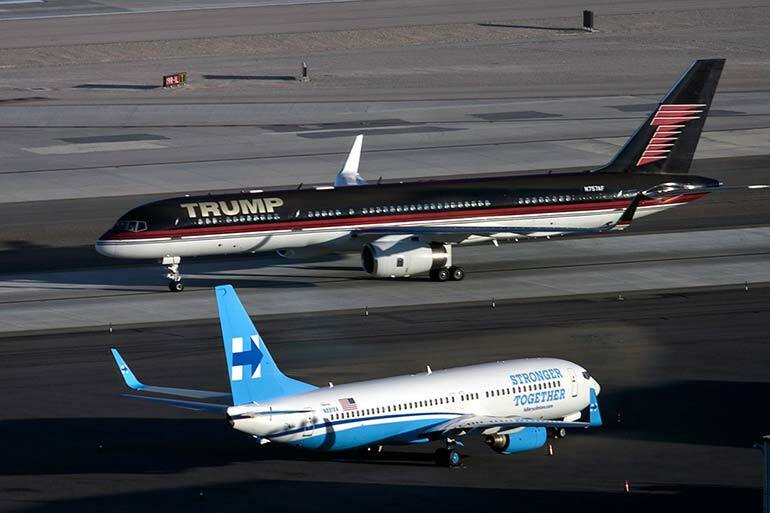 The planes of US Presidential candidates Donald Trump and Hillary Clinton at McCarran International Airport on October 18, 2016 in Las Vegas, Nevada. The third and final round of debate before the election on November 8 will start on Wednesday, October 19 at 9pm ET. 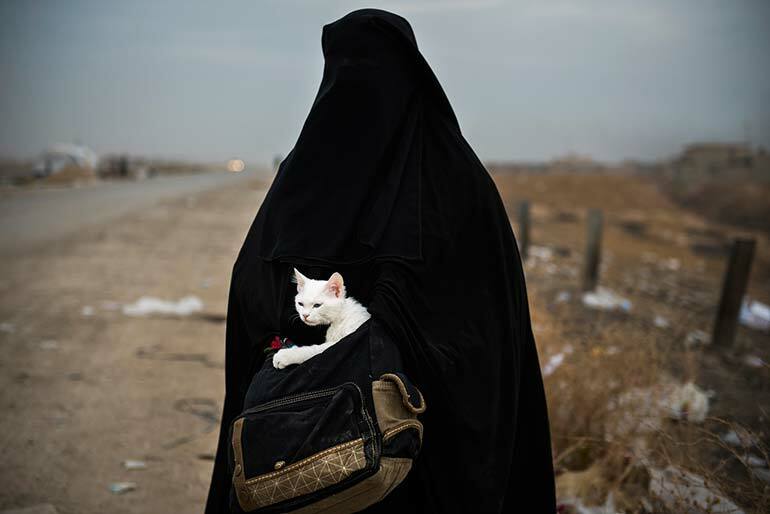 Iraqi woman who fled her home in Intisar district of Mosul, a city in northern Iraq surrounded by troops, is waiting for transport at the Kurdish checkpoint in Shakuli village, hoping to get into the refugee camp in Erbil, on November 10, 2016. A month ago Iraqi troops started the operation to free Mosul from ISIS, which occupied the city in the summer of 2014. 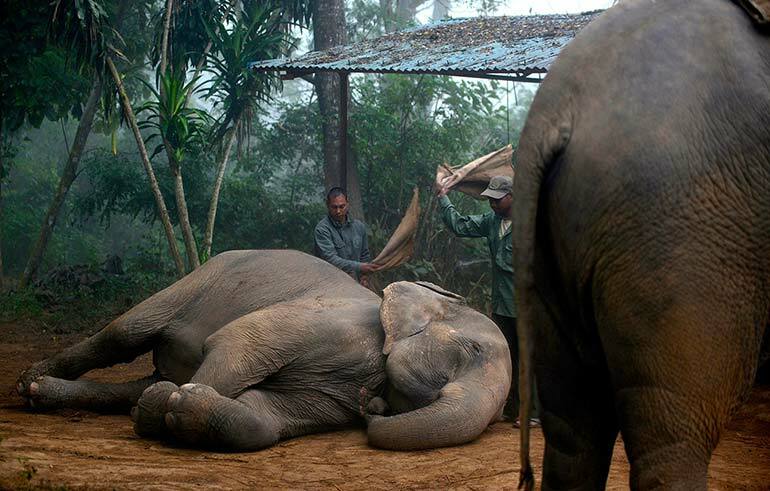 Nepalese mahouts are getting their elephants ready for the game during the 35th International Elephant Polo Competition. Participants from all over the world come to the jungle of South Nepal annually to compete in one of the most elite sports. To see more images from 2016, visit the ‘Photo of the Day’ section of Bird in Flight.